Australia, New Zealand, and the other island nations of Oceania have developed their own unique sets of fauna, setting them apart in the world of biodiversity. 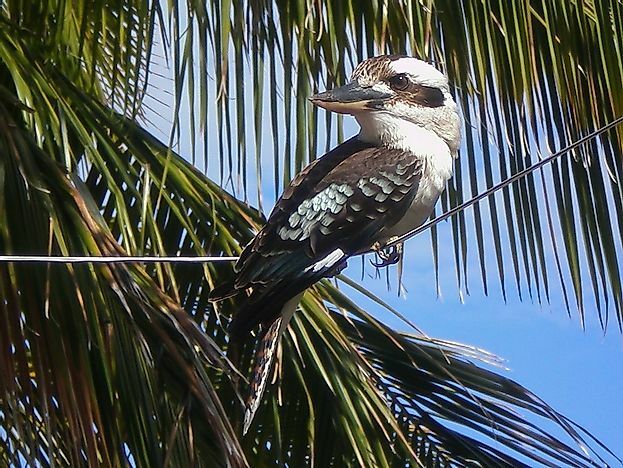 A Kookaburra hanging out in a palm tree along the beaches of Papua New Guinea. 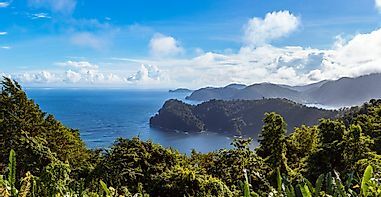 The tropical islands of Oceania have a diverse array of habitats and wildlife unlike those seen anywhere else in the world. Long separated from the other major continents, they have created their own unique, endemic sets of fauna that have long fascinated visitors from other parts of the world. Whether you go to the "Land Down Under", visit the islands of the Kiwis and Maori, or check out the tropical resorts of Fiji, you are sure to find animals that will forever leave a mark on your heart and your mind. In the water, on land, or in the air, no naturalist will find a shortage of wildlife to marvel in when in Oceania. Below, we have compiled a list to provide but a mere glimpse into the unique, biodiverse fauna of Oceania. Endemic to New Zealand, Kiwis include five species of flightless birds belonging to the genus Apteryx. 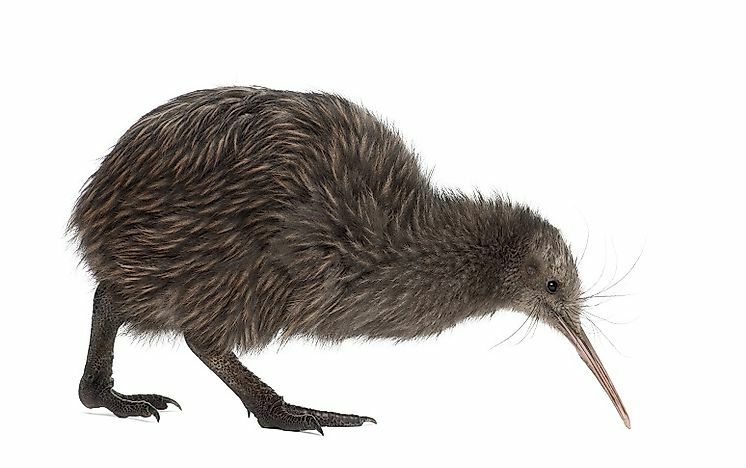 The kiwis have unique, unusual features, including vestigial wings hidden under their soft, hairlike plumage which also lacks after-shafts. They have long, flexible beaks with nostrils at the tips of the beaks, long, stout, muscular legs for fast running over the ground, small eyes that are suitable for nigh vision only, and large ear openings. The forest-dwelling kiwis are nocturnal birds which forage after dark for berries, insects, and larvae, and sleep in burrows during the daytime. Among the five species of kiwis, 2 are endangered, 2 are vulnerable, and 1 is near threatened, as per the International Union for the Conservation of Nature's Red List of Threatened Species. Kiwis are a national symbol of New Zealand, and New Zealanders are often even referred to as "Kiwis" themselves. 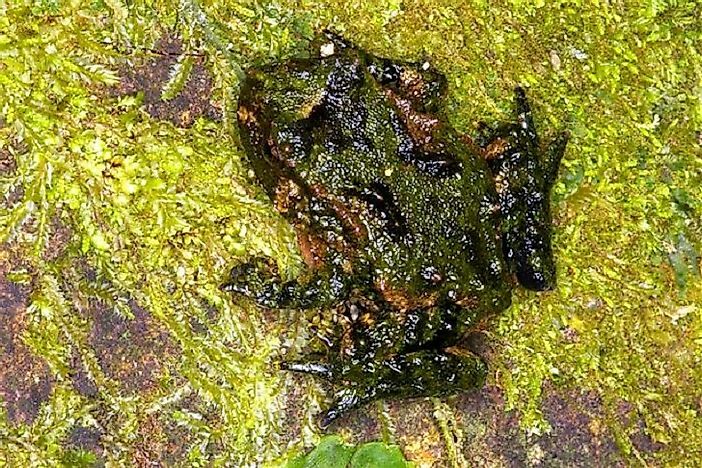 Hochstetter's frogs, endemic to New Zealand, belong to one of the most primitive Anuran orders, that of Archaeobatrachia. These frogs have a brown-red or brown-green dorsal surface, and a yellow-brown ventral surface, with sizes ranging between 24 and 48 millimeters from the snout to the vent. The frogs inhabit temperate forests of the country, and reside in the moist gaps between rocks and logs near forest rivers and streams. The frogs are nocturnal carnivores, feeding on invertebrate species like spiders, mites, and beetles. The frogs can live up to 30 years, and adults start breeding by the age of three years, with females laying around 20 eggs per breeding season. The frogs are categorized as "vulnerable" by the International Union for the Conservation of Nature. The Jeweled gecko (Naultinus gemmeus) is a gecko species that is endemic to New Zealand. Two subgroups of the geckos form two distinct populations in Otago and Canterbury of New Zealand, respectively, while a smaller population also survives in the South Island. The subgroups mainly differ in their body colors. All of the geckos of Otago are green in color with white and yellow markings, while some of the Canterbury gecko males have a grey or brown body color with white and purple markings. The geckos survive on a diet of insects and moths, and occasionally feed on berries. 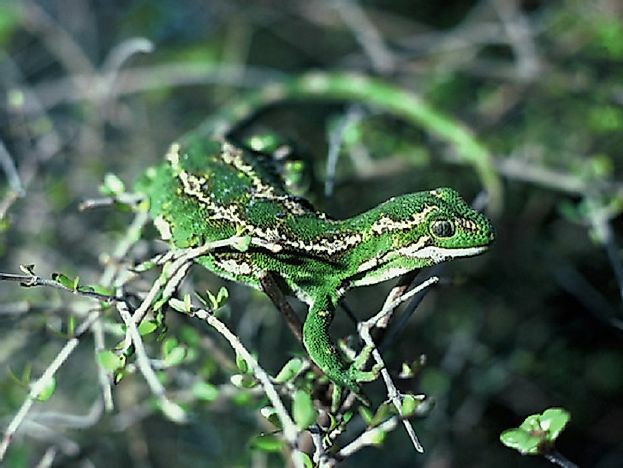 The geckos of South Island are uniformly green in color. The jeweled geckos are registered as an “at risk” species by the New Zealand Threat Classification System, and are protected from capture and killing. 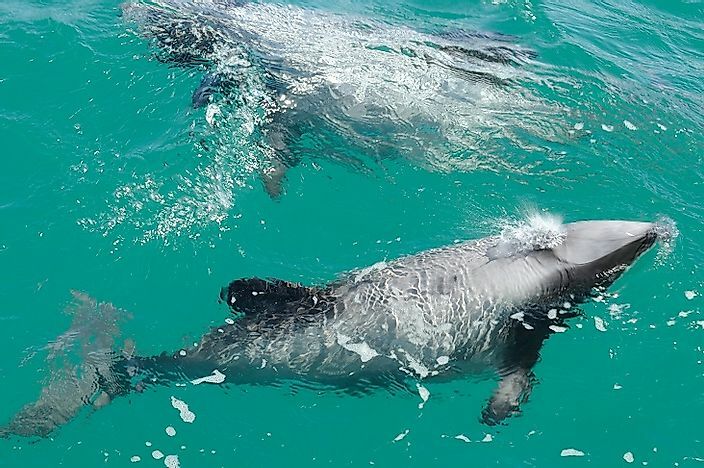 The Hector’s dolphin (Cephalorhynchus hectori), native to the shallow coastal waters along the western shores of the North Island of New Zealand, are the smallest and rarest marine dolphins in the world. The dolphins are distinguished by their small, stocky bodies, black markings on their faces, and the presence of dorsal fins with uncanny resemblances to the ears of the animated character of Mickey Mouse. They have an average length of 4 feet, and a weight of 110 pounds. The Maui’s dolphin (C. h. maui), a subspecies of the Hector’s dolphin, is "critically endangered", with fewer than 100 surviving individuals today, and are especially susceptible to bycatch from the fishing industry. 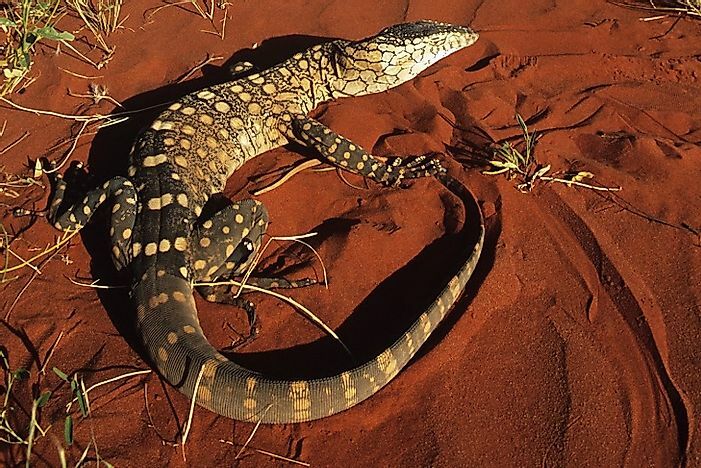 The sand goanna (Varanus gouldii ), also known as the Gould’s monitor, is a terrestrial Australian monitor lizard that inhabits open woodlands and grasslands in northern and eastern Australia. 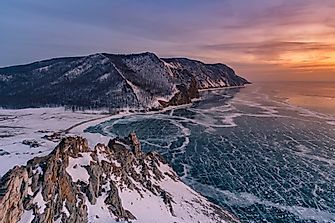 The reptile grows up to a length 140 centimeters, and weighs around 6 kilograms. 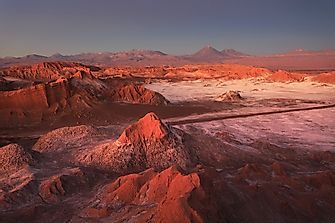 They seek shelter in large burrows dug underground, or reside in rock escarpments and tree hollows. The sand goannas are voracious feeders, and will devour all types of prey species that are smaller in size to them like mice, small birds, insects, snakes (including venomous ones), and smaller lizards. The forked tongues of the lizards allow them to pick up scents in the air, which then direct them to their next actions. 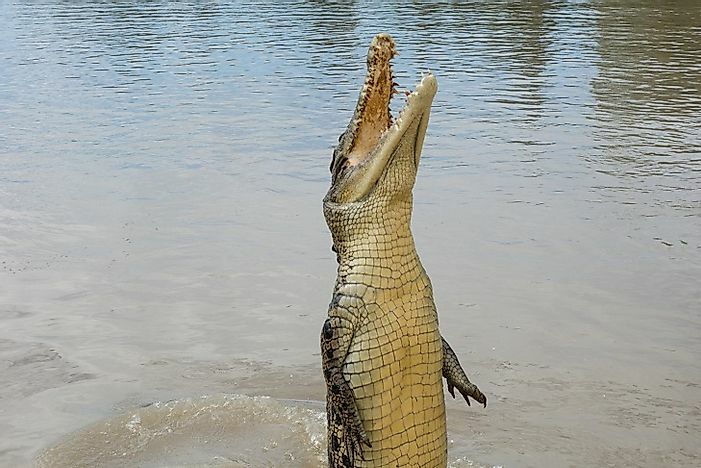 The saltwater crocodiles (Crocodylus porosus), the largest living reptiles in the world, are hyper-carnivorous, apex predators of the estuarine, lagoon, mangrove swamp, deltaic, and other related ecosystems in many parts of the world. Their habitat stretches from the eastern coast of India throughout Southeast Asia and into northern Australia. The adult males are larger than the females of this species, and have an average length ranging between 14 and 17 feet, and average weights between 400 and 1,000 kilograms. The females have an average length of around 9.8 feet. Koalas (Phascolarctos cinereus) are arboreal, herbivorous marsupials native to Australia. 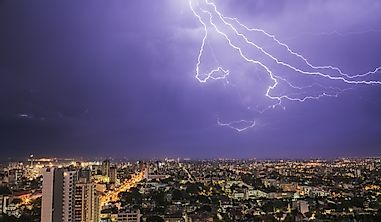 Their range stretches from the coastal areas of Australia’s southern region, with significant populations in the Australian states of South Australia, Queensland, New South Wales, and Victoria. 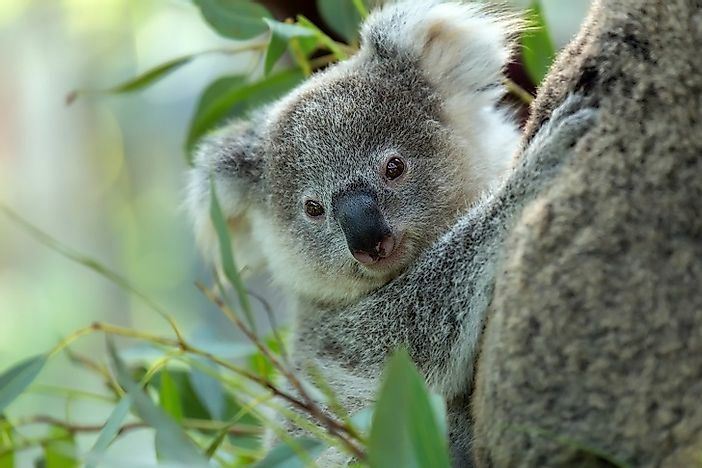 The koalas have a tailless stout body covered by silver-grey to chocolate brown-colored fur, and lengths ranging between 60 and 85 centimeters, while weighing between 4 and 15 kilograms. They have round, fluffy ears and a spoon-shaped nose. 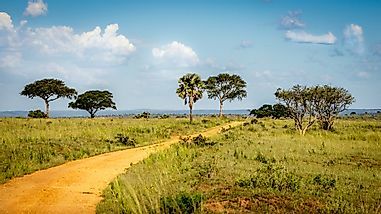 They have a highly sedentary lifestyle, spending most of their time dozing off in the eucalyptus trees that they inhabit. They primarily feed on these same eucalyptus leaves, and also usually obtain their water sources from the moisture found in the leaves. The spotted quoll (Dasyurus maculatus) also known as the tiger quoll, is a native Australian marsupial which is regarded as the longest carnivorous marsupial in the world. Two subspecies of the spotted quoll have been identified. Namely, these are the Dasyurus maculatus maculatus, found living in the wet forests of southeastern Australia and Tasmania, and the Dasyurus maculatus gracilis, living in northern Queensland. Both of these species are categorized as "near threatened" by the International Union for the Conservation of Nature. The spotted quolls have a reddish brown pelage with white spots that are also present in the tail, the size of which is nearly as large as the size of the head and body combined! They have short legs, with five toes on both the hind and front feet. Though it does not posses a prehensile tail, the ridged, long pink foot-pads allow it to nimbly climb trees. 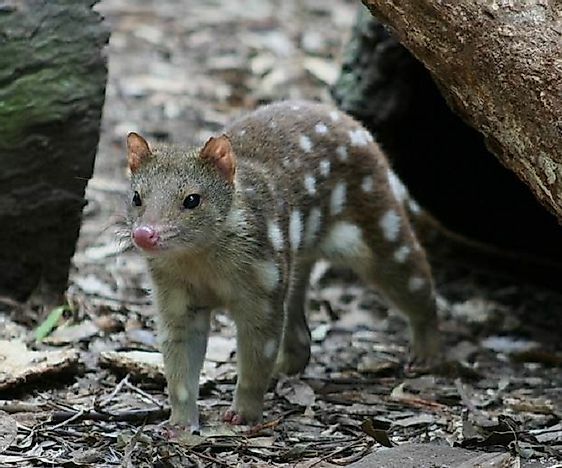 The spotted quolls inhabit wet forests and feed on a variety of species like snakes, lizards, insects, small birds, mammals, and farmers' poultry, as well as carrion. 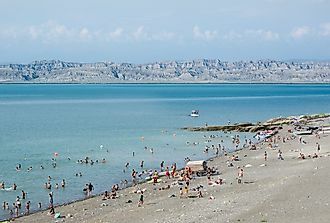 They lead a nocturnal lifestyle, and spend the daytime resting in their dens. 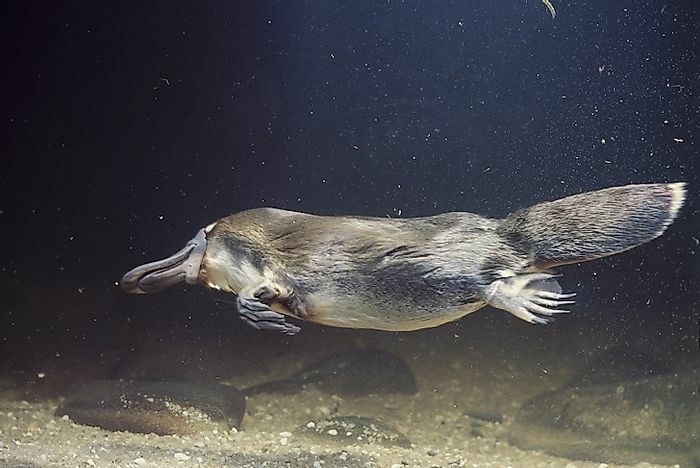 A semi-aquatic oviparous mammal, the unique platypus (Ornithorhynchus anatinus), which is also known as the duck-billed platypus, is endemic to eastern Australia, including the island of Tasmania. The platypus’s strange appearance and characteristics have often baffled the scientists attempting to classify the creature. It possesses a duck-like bill, otter-like feet, and a tail akin to that of a beaver. The platypus is also one of the very few known species of venomous mammals in the world, and its venom is sufficient to cause a human to writhe in pain. The oviparous Platypus is also one of the few, and arguably most well known, of the egg-laying mammals. The uniqueness of the platypus makes it an ideal subject for evolutionary biological studies. 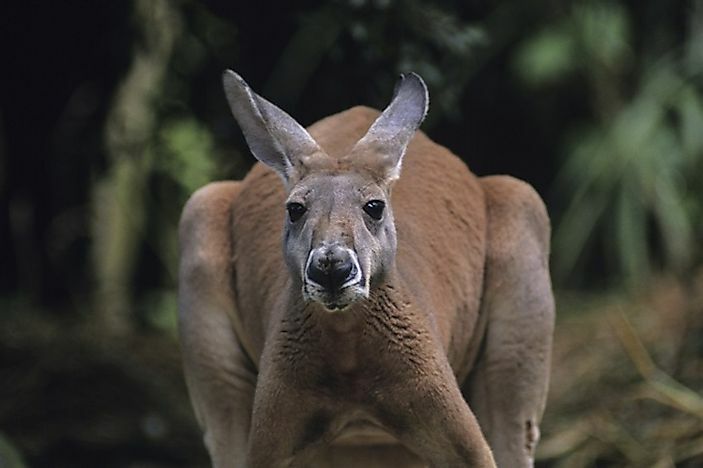 The red kangaroos (Macropus rufus), the largest of all kangaroo species, are terrestrial marsupials occurring over a wide range in Australia. The males of the species posses reddish brown-colored fur which fades off to a buff color on and below the limbs. The females have a smaller size than males, and have a blue- to grey-colored fur fading into pale grey below. The red kangaroos also have long, pointed ears, and square-shaped muzzles. The kangaroos are adapted to survive in arid environments, and thus inhabit a wide variety of such habitats like grasslands, scrub-lands, and deserts. Like all kangaroos, they are well known for hopping about on their powerful hind legs, boxing with their fore paws, and the mothers carrying their "joeys" around in their marsupium pouches. They are herbivorous in nature, predominately feeding on grasses and forbs.